These issues may seem different, but they’re all rooted in the same problem. Businesses thrive by engaging customers. Fail to connect with the right audience and your business will fail. No amount of money or time spent on sales or marketing can fix that. 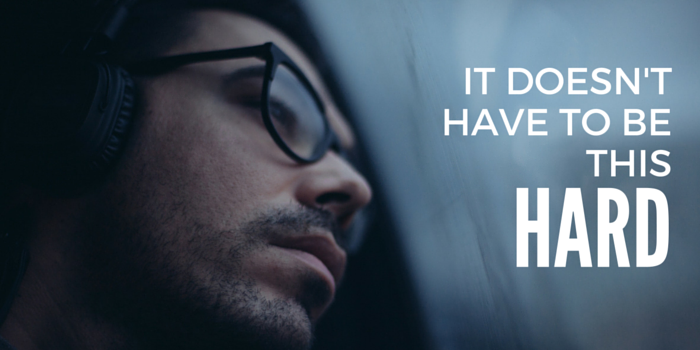 Don’t keep relying on your “best guess” – find out! Find Your Audience Axis will teach you how to determine the best audiences for your business, and how to be irresistible to them. Step 1: Figure out your target audience. Step 2: Now that you’ve done that, let’s use this great technique to reach them and get them to convert! Most of us assume you have to be a marketing expert to identify your ideal target audience. Or that you need to have reams of data (BIG data) to find the answer. Some of us look at who our competitors seem to be targeting and do that — or try to do the opposite. And many of us just decide we can skip this step and go right to building our website and paying for Facebook ads and it will all work itself out — our ideal customers will find us, somehow. Guess what — Crossing your fingers and hoping WON’T grow your business. So many small business owners don’t have any kind of audience strategy. They know they should, but when they search online or read books about what to do, the process seems overwhelming and scary and hard. So instead, they do nothing. And their businesses suffer as a result. Identifying your ideal customer shouldn’t be intimidating, or frustrating, or tear-inducing. But there isn’t some cookie-cutter approach that will magically tell you, based on your industry, who your ideal customer should be. Your business is unlike any other. Your ideal audience is too. There’s a better alternative to ignoring the problem, or using some worthless demographic profile — “Women! 25-49!” — as your audience description. I call it finding your Audience Axis — the ideal customer around whom you build your business, and who drives every decision you make. 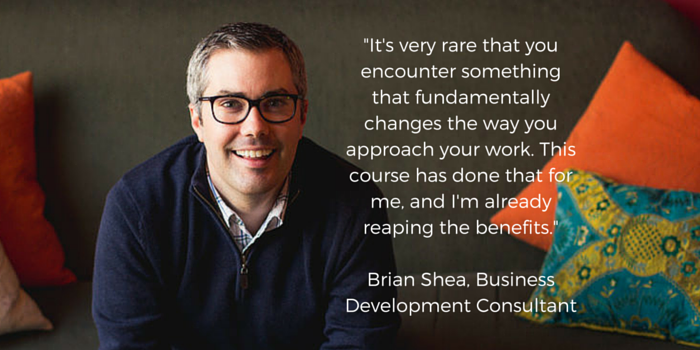 And now the same philosophy and techniques are available through an online course that can benefit any business owner, whether they’re experienced in marketing or not. You are the perfect person to determine your company’s ideal customers because their characteristics will match with the business you want to build. By following a step-by-step process, you can identify the ideal customers for your business, and what to say to get them interested. Identifying your ideal customers doesn’t have to be intimidating, or frustrating, or impossible. 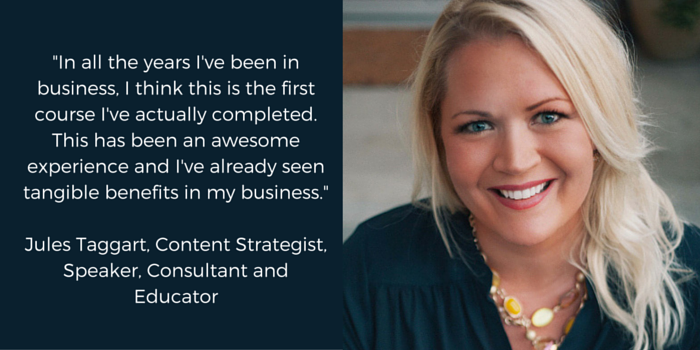 Take this course and learn how fun it can be to build an audience focus for your business from the ground up. How to develop an irresistible pitch. The Audience Axis process is explained in a narrated slideshow, guiding you through each step of the way. 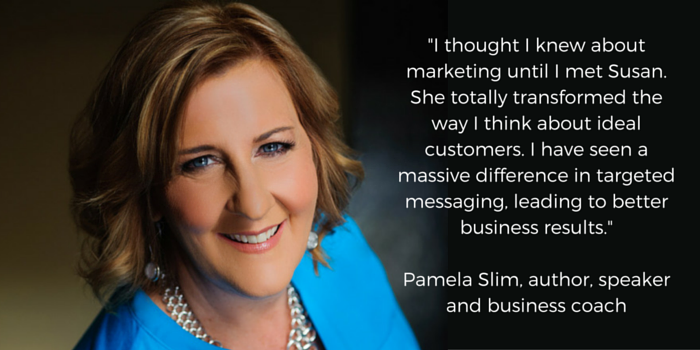 You’ll learn a step-by-step approach based on 25 years of marketing expertise and built specifically for small business owners. It’s designed to be easy to follow and fun to do! You’ll work with exercises and worksheets that capture your insights during each step of the process, and that you can continue to use in your business as you grow and refine your audience focus. You’ll get access to the private AxisFinders Facebook Group, where you can ask questions, interact with Susan and other course participants, engage with small business owners who are already using the Audience Axis approach in their businesses and get peer feedback on everything you’re working on. With our Private Consulting option, you can include three one-on-one consulting sessions where you and Susan will work together as you make your way through the course materials. For any small business owner, a big factor in the success and longevity of your business is your own happiness working in it. Focus on the wrong audience, and your business becomes something you dread, instead of something that excites you. Your goals and preferences are key to choosing the right audience, but many of us haven’t given that much thought in the context of our business. This module helps you clarify your goals (both the things you want in your business and the things you don’t) and identify those that will drive key decisions about your choice of target customer. Although most of us are taught to focus on demographics, this module will share a much more helpful approach to thinking about your ideal customers. You’ll learn how focusing on problems before you focus on people is the key step in developing a truly effective audience strategy. We’ll also cover the critical difference between problems and needs, and how many marketers confuse solutions with both of them. And we’ll build on the work we did in Focus 1 to map out the road to our ideal audiences. Once we’ve identified key problems you want to solve, our next step is to identify the people who are struggling with those problems. The Focus 3 module dives into a specific approach to whittling your potential audiences to the ones that make the most sense for you, and that will respond excitedly to what you have to offer. We’ll give you specific guidelines about what to do with concerns and objections your prospects may have, and how to identify audiences you’ll never win. We’ll also develop a clear positioning statement that encapsulates everything you’ve worked on to remind you who your target customers are and how to resonate with them. While half the battle for small business owners is finding the right customers, the other half is avoiding the wrong ones. Attracting prospects that are a poor fit for your business wastes their time and yours, and can do serious damage to your company’s growth opportunities. In this module, we’ll discuss key tactics to help you avoid the wrong prospects, and you’ll develop a tool to remind yourself who they are so you’ll be ready when one crosses your path. None of the work you’ve done to discover your ideal audience will make any difference unless you can effectively convert them when you find them. 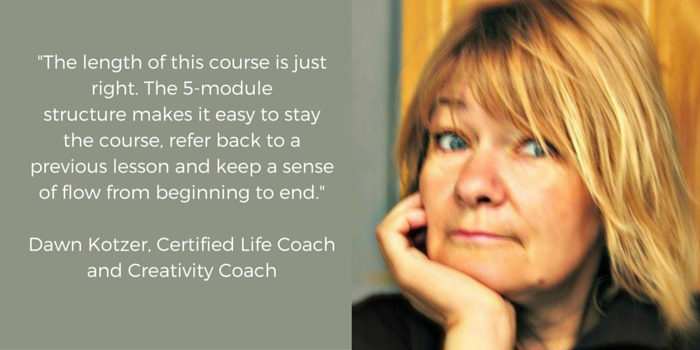 The final module will teach you how to distill all the work you’ve done so far into a short, clear and compelling pitch for each target audience you’ve identified. You’ll end the course not only knowing who you should be talking to, but what to say. 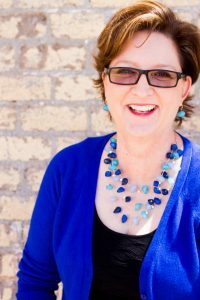 Susan has been helping organizations realize the power of understanding their ideal customers for over 25 years. As the founder of Audience Audit, which works with marketing and advertising agencies to develop data-based audience strategies for their clients, Susan has helped brands like Gap’s Athleta, Infusionsoft, AT&T, Jayco and Tufts University improve their marketing and reach the people they want to serve. With 13 years of small business ownership and an MBA in Entrepreneurship and Marketing, Susan knows the impact of an audience-based focus on small business results. She also understands better than most how challenging it can be for small business owners to identify their best audiences and capture their attention. She’s been helping small businesses solve this problem for many years, and now her course Find Your Audience Axis makes her approach easy for anyone to learn. 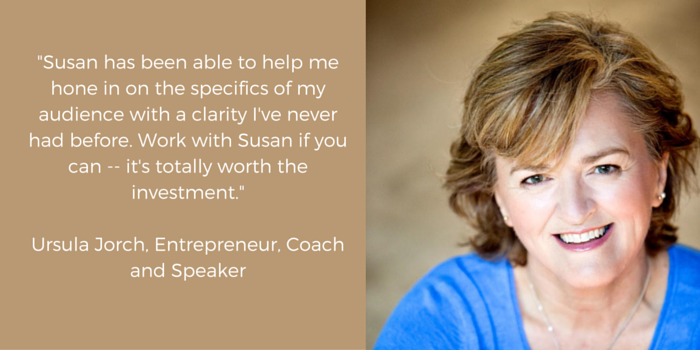 Learn more about Susan here, and read more about her approach in her free eBook, Stop Selling. Start Solving.